Color Changing Nail Polish 'Myth' by Ruby Wing. Wear a soft, neutral shade indoors and enjoy a lavender shade outdoors. 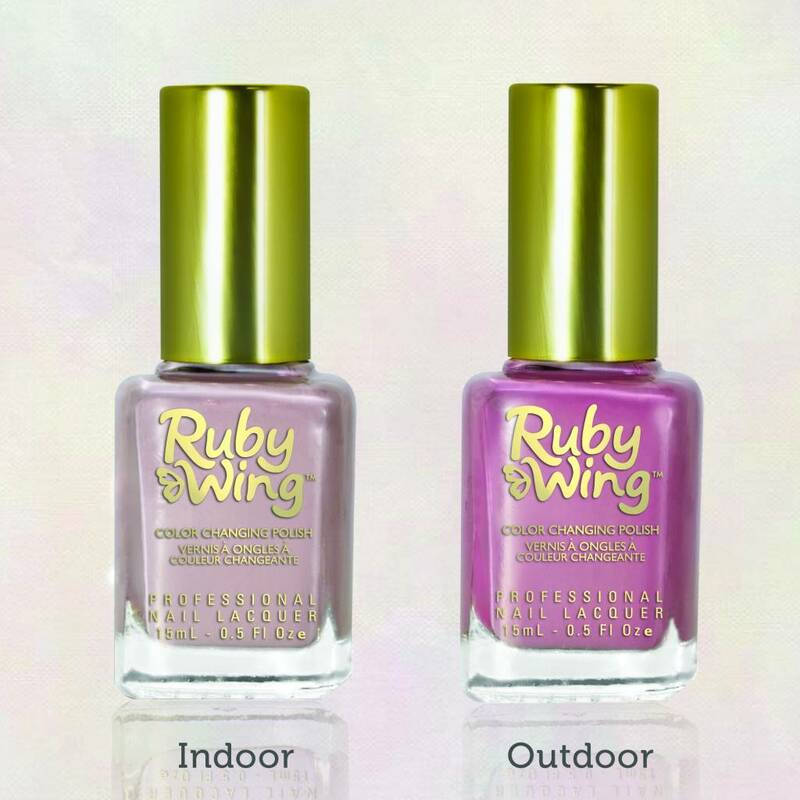 Ruby Wing™ Color changing nail polish is a nail polish that changes color in the sunlight or daylight. 'Myth' is soft, neutral shade indoors and lavender outdoors!